Way back when I first began wearing foundation on a daily basis I started off with mineral powders. I think they're a great way to get started as they're so easy to apply and don't feel as heavy on the skin as some liquid foundations. You can easily get away with wearing them at school too. The first mineral powder I tried was the Lily Lolo Mineral Foundation. I mainly bought it because it was pretty cheap & I couldn't afford Bare Minerals at the time. Those constant infomercials eventually got the better of me & I splashed out on some Bare Minerals foundation & concealer. Although I did like both the Lily Lolo & Bare Minerals products I just wasn't entirely satisfied with them. Even with copious amounts of buffing they still looked like a powder on my skin & I prefer a bit of a dewy finish. 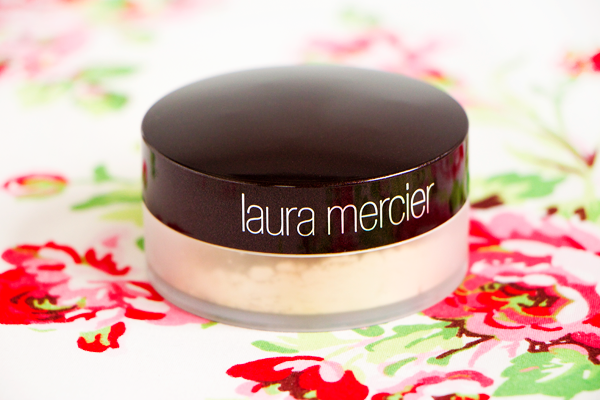 So I moved onto liquid foundations and hadn't really looked back until I heard about the Laura Mercier Mineral Powder. 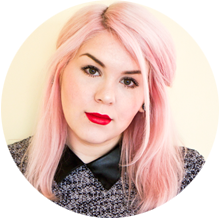 I believe it was Estée who I first saw using this powder & it looked so gorgeous on her skin. A powder that looks as good as a liquid? Yes please! What I really like about the Laura Mercier Mineral Powder is that it blends in incredibly well & kinda melts into your skin. It feels like a powder to cream formula. It looks so fresh & radiant, nothing at all like a powder. That beautiful luminous finish is due to the inclusion of pure pearl powder. This not only makes your skin look amazing but it helps to promote healthy skin & fight the ageing process as well. I use the shade Soft Porcelain. It's the lightest one available & is fairly yellow toned. I love how pale it is, the colour is a great match for me. The mineral powder is water-resistant, oil-free & features SPF 15. I normally apply it with the Real Techniques Retractable Kabuki Brush as it's really soft & dense, perfect for buffing in powder foundations. The coverage is medium but buildable. You only need a tiny amount, yet it manages to cover up any redness in my face & the majority of my freckles. I find that if I go overboard with the powder it does get a bit cakey around my forehead but otherwise the finish is very natural & skin-like. The staying power is decent although it doesn't really control oil production. It begins to break down on my T-Zone after about six hours but I think that's pretty good going for a powder. In my opinion this is a great product to touch up with throughout the day. There is a pressed version available which would be better for travelling with but it lacks the pearl powder & therefore that covetable luminous glow. Sure, carrying a pot of foundation & a kabuki brush around with you is a huge faff but hear me out. I suffer from horrendous hayfever which means that I end up blowing my nose about 100 times a day during the Summer. If I wear a liquid foundation all of the makeup on my nose comes off on my tissue. Not only does this look stupid but my nose becomes more vulnerable to the sun as I've rubbed off my foundation & any sun protection. 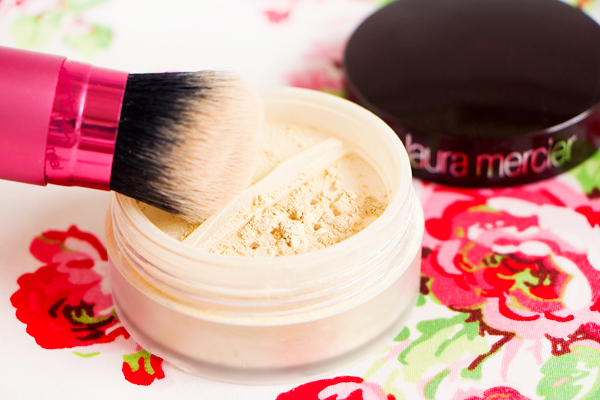 As this powder contains SPF 15 it protects my nose & blends back in seamlessly with the rest of my makeup. It works well as a finishing powder too for touching up your regular makeup before a night out. This has to be the most finely milled mineral powder I've come across. It feels so lightweight on the skin but manages to make everything look flawless. Although it's expensive you definitely get what you pay for, both in terms of quality & quantity. 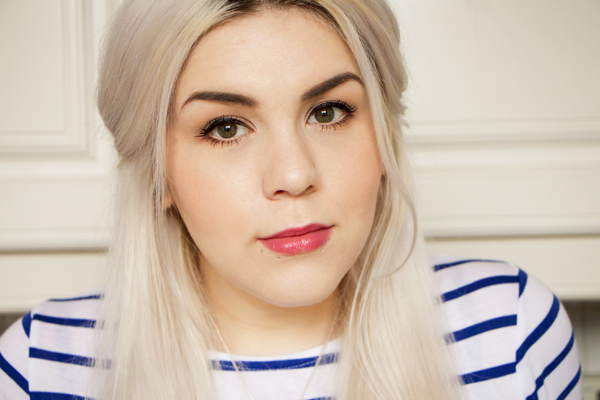 The Laura Mercier Mineral Powder is easily one of my favourite Summer foundations. I love mineral foundation at the moment! I just discovered how wonderful Bare Minerals foundation is! Can’t believe I didn’t try it sooner. Would love to give this a go! Since trying Bare Minerals I have come such a fan of powder foundations. I love LM too so I can imagine I will fall in love with this! Your skin looks amazing! I wish it was £30 and not £31 as that extra pound tips it towards the £40 mark in my view. Can't get over that a powder made your skin look like that!